Ram Dass went from being an accomplished academic to counter culture icon, legend in his own time. His practice of spiritual service has opened up millions of other souls to their deep, yet individuated spiritual practice and path. Ram Dass’ unique skills in getting people to cut through and feel divine love without dogma is still a positive influence on thousands of people around the globe. 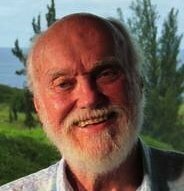 Ram Dass (born Richard Alpert) was born to a prominent Jewish family on April 6, 1931 in Massachusetts, United States. His father was an influential lawyer in Boston, president of an important railroad firm, one of the founders of Brandeis University and the Albert Einstein College of Medicine, as well as a major fundraiser for Jewish causes. While Richard did have a bar mitzvah, he was “disappointed by the ritual’s essential hollowness”. Alpert graduated from school with high honours in 1948 and then went on to receive a Bachelor of Arts degree, a master’s degree and a doctorate in psychology from Stanford University. He specialized in human motivation and personality development. After returning from a visiting professorship on psychology at Stanford and the University of California, Berkeley, Alpert accepted a permanent position at Harvard, where he worked with the Social Relations Department, the Psychology Department, the Graduate School of Education, and the Health Service, where he was a therapist. He was also awarded research contracts with Yale and Stanford. Perhaps most notable was the work he did on the exploration of human consciousness with prominent psychologist and writer Timothy Leary, a close friend and associate. Having only recently obtained his pilot’s license, Alpert flew his private plane to Cuernavaca, Mexico, where Leary first introduced him to Teonanácatl, the Magic Mushrooms of Mexico. By the time Alpert made it back to America, Leary had already consulted with Aldous Huxley, who was visiting at the Massachusetts Institute of Technology (M.I.T.). Through Huxley and a number of graduate students they were able to get in touch with a research chemist, which had produced a synthetic component of the magic mushrooms called psilocybin. Alpert and Leary brought a test batch back to Harvard, where they conducted the Harvard Psilocybin Project. The pair was later dismissed from the Harvard in 1963; Leary for his overall conduct and Alpert for continuing to fraternise with and give psilocybin to undergraduates. By this time; however, Alpert had already become disillusioned with academia and even described himself as feeling caught in a meaningless game. The two soon relocated and continued their experiments unsupervised from a private mansion in New York, under the auspices of a private foundation until 1967. Famous poets, musicians came from across the country to be part of what was going on there. Although Leary and Alpert remained life-long friends, the two eventually began to part ways spiritually and philosophically as Leary continued to spread his mantra of “turn on, tune in, drop out”, while Alpert increasingly found his purpose in the Eastern ethic of serving others. For Ram Dass, psychedelic work turned out to be a prelude to the mystical country of the spirit and the source of consciousness itself. Mind expansion via chemical substances became a catalyst for the spiritual seeking. This naturally led him eastward to the traditional headwater of mystical rivers: India. In 1967 Alpert traveled to India and once there, a series of seeming coincidences led him to an American spiritual seeker named Bhagavan Das. As he guided him barefoot from temple to temple, Bhagavan Das began teaching Alpert basic mantras and Yoga asanas, as well as how to work with beads. After a few months Bhagavan Das led Alpert to his guru, Neem Karoli Baba, or as he is better known in the West, Maharaj-ji. Maharaj-ji soon became Alpert’s guru and gave him the name “Ram Dass”, which means “servant of God”. Under the guidance of Maharaj-ji, Ram Dass was instructed to receive teaching from Hari Dass Baba, who taught in silence using only a chalkboard. Among other things, Hari Dass Baba trained Ram Dass in raja yoga and ahimsa (non-violence). It was these life-changing experiences in India that inspired Ram Dass to write the contemporary spiritual classic, “Be Here Now”, in which he teaches the harmony of all people and religions. After his return to the United States in 1969, Alpert founded several organizations dedicated to expanding spiritual awareness and promoting spiritual growth. Since then he has embraced a wide variety of spiritual methods and practices such as meditation and yoga from major ancient wisdom traditions. In 1974, Ram Dass created the Hanuman Foundation, which developed the Prison Ashram Project, designed to help prison inmates grow spiritually during their incarceration, and the Dying Project, conceived as a spiritual support structure for conscious and dying. In February 1997, he suffered a stroke which left him with expressive aphasia, however, he understands his stroke as an act of grace and continued to travel giving lectures, as his health permitted. In 2004, following a life threatening infection, Ram Dass was forced to curtail travel and focus on recovering his health. He continues to teach through live webcasts and at retreats in Maui, were he now resides. Ram Dass’ monumentally influential and seminal work, still stands as the centerpiece of Western articulation of Eastern philosophy, and how to live joyously a hundred per cent of the time in the present, luminous or mundane. His work continues to be the instruction manual of choice for generations of spiritual seekers. When asked if he could sum up his life’s message, he replied, “I help people as a way to work on myself, and I work on myself to help people … to me, that’s what the emerging game is all about.” Ram Dass was awarded the Peace Abbey Courage of Conscience Award in August 1991. The “Love Serve Remember Foundation” was organized to preserve and continue the teachings of Neem Karoli Baba and Ram Dass, and to work with Ram Dass on his writings and other future plans. The Hanuman Foundation is a nonprofit educational and service organization founded by Ram Dass in 1974, focused on the spiritual wellbeing of society through education, media and community service programs. The Seva Foundation is an international health organization founded by Ram Dass in 1978 along with public health leader Larry Brilliant and humanitarian activist Wavy Gravy. Ram Dass also serves on the faculty of the Metta Institute where he provides training on mindful and compassionate care of the dying. Ram Dass is a co-founder and advisory board member of the Seva Foundation, an international service organization. He works with the Social Venture Network, an organization of businesses seeking to bring social consciousness to business practices. 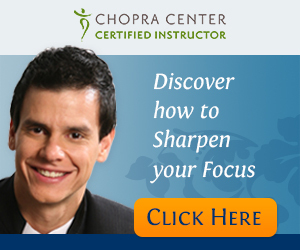 He continues to teach about the nature of consciousness and about service as a spiritual path.